Sylvania, GA (March 28, 2017) – Newly formed Synergy Racing Inc announces that Rome, Ga native Koby Timms has been named the first of the teams 2017-18 drivers in its Test & Development Program for the ARCA Racing Series presented by Menard’s and the NASCAR Camping World Truck Series. 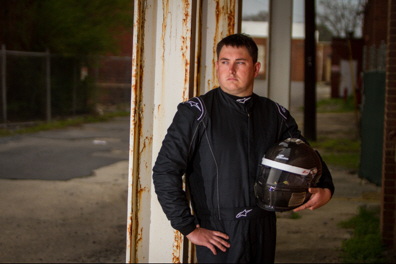 Timms, 28, started racing WKA sanctioned karts and has countless wins over a 16 year span in karts and although stockcars are a pretty big jump, Koby possesses the knowledge and driving abilities it will take to be successful at this level of competition. The team will be testing numerous drivers over the course of the season From Colorado to Michigan and Canada to Florida but Timms will be the teams ” Go to guy” for race set ups, tire testing and research and development. With Koby being able to utilize that amount of seat time and help us with the other T&D drivers, when race day finally comes for him he will be ready to make his mark on the big stage. Synergy Racing was formed by former ARCA driver Allen Milton and [redacted] Racing Owner and former road course racer [redacted] to offer talented drivers the shot at big time racing without having to have a big time checkbook. “The sport is loaded with talented drivers but only a handful ever get to go racing at this level because of one thing and one thing only…money”. “We feel that the right people with the right plan paired with the right drivers can go a long way in acquiring the necessary funding it takes to compete at this level”. Although the team has no plans to compete in 2017, there is tons of work to be completed with preparing and updating equipment mandated by ARCA for competition in 2018 starting at the World Center of Racing, Daytona International Speedway. Timms will be along side an ARCA veteran come Daytona of whom will be announced later this week. “By the time we get to Daytona for testing in January, Koby will be able to jump right in with a veteran super speedway driver and not miss a beat”. Koby’s marketing campaign will start immediately with his first test scheduled for early May at the teams testing facility , Crisp Motorsports Complex in Cordele, Ga, as well as a link on the teams website and a Koby Timms Facebook fan page where fans will be able to purchase team and driver merchandise, help sponsor Koby’s campaign and enter to win pit credentials for selected ARCA Racing Series presented by Menard’s events and January Daytona testing. Big things are anticipated for Koby in ARCA and be on the lookout for announcements on all of Koby’s progress throughout the season.